More than 200 people turned out Tuesday (1-16-18) to testify about herring and salmon fisheries in front of the Alaska Board of Fisheries in Sitka. And about two-thirds of those who spoke were concerned over the commercial management of the Sitka sac roe herring fishery. The herring industry wants to maintain the status quo. Fishermen and processors expressed support for the methods used by the Alaska Department of Fish and Game to predict how many herring they can safely harvest. 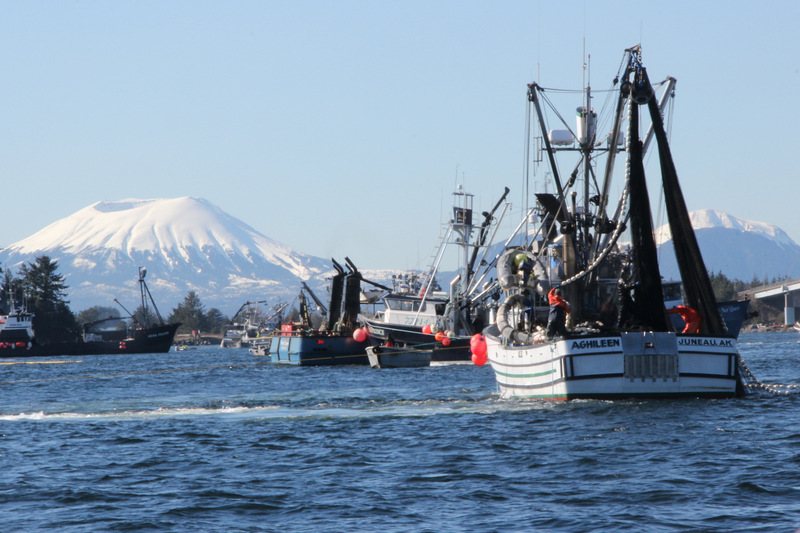 The current formula will allow seiners to catch 11,000 tons of Sitka Sound herring this year. Sitka Tribe of Alaska and its allies are telling a different story, one of dwindling spawn and diminishing subsistence harvest over the last two decades. To prove their point, a group of conservationists calling themselves the Herring Rock Protectors played audio testimony from the 1997 Board of Fisheries meeting. “The channel used to be full of herring,” Walter Moy had told the board more than 20 years ago. “The whole bay used to be covered with spawn,” Jessie Johnnie testified during that same hearing. Of the 19 herring proposals before the board, seven apply to the Sitka sac roe herring fishery. The rest apply to the winter bait fishery and spawn-on-kelp fishery, which is measured by the pound. Salmon fishermen from across Southeast also are turning out in force as the board may designate king salmon a “stock of concern,” which could trigger increased restrictions on commercial and sport fishing for king, or chinook, salmon. Fish and Game’s forecast for kings on five Southeast rivers is the lowest on record. Chinook returns on these rivers are projected to be just a fraction of what state biologists say is needed for a sustainable run. 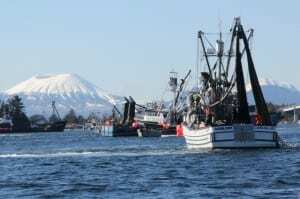 Dozens of competing proposals want to tweak rules that will affect the livelihood of commercial fishermen and sport fishing charter guides in communities from Ketchikan to Haines. There’s already been push back by commercial trollers against one proposal to delay the commercial season opener later than July 1. The Alaska Trollers Association wants the board to create more opportunities to catch coho salmon. The ATA argues that coho would give some relief to trollers who may suffer from tighter restrictions on the harvest of kings. Only about half of those signed up to testify Tuesday had time to speak. Public comment resumes first thing Wednesday morning.